Whatâ? 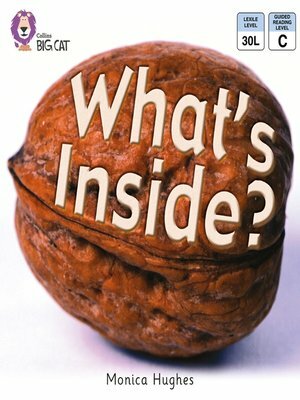 ?s inside a nut? Whatâ? ?s inside a pod? Whatâ? ?s inside you and me? The clear photos in this book will show children whatâ? ?s inside all sorts of things, from a pea inside a peapod to the skeletons inside us. â?¢ Red A/ Band 2A books offer predictable texts with famliar objects and actions, combined with simple story development or information development. â?¢ Text type - A simple information book. â?¢ Pages 14 and 15 provide an opportunity for children to recap and discuss the text.